The Jeremiah Lee Mansion is located in the beautiful seaside town of Marblehead, Massachusetts. Jeremiah Lee – a merchant and ship owner, and one of the wealthiest men in the American colonies – built his mansion several years before the start of the American Revolution. This architectural and historic gem has survived largely unchanged from when it was built. A tour of the mansion offers visitors not only a glimpse into life in the mid-1770s, but also an understanding of what Lee, a true patriot, was willing to risk for the cause of freedom. Jeremiah Lee built this home for his family – his wife, Martha, and their six children. The mansion reflects his wealth and status as a respected leader in his community. Lee was a colonel of Marblehead’s militia and served in the Provincial Congress of Massachusetts, established just prior to the start of the American Revolution. Colonel Lee used his merchant connections to procure arms and ammunition for the patriot cause. Colonel Lee lived in this beautiful house for only seven years prior to his death. In April 1775, after a meeting with John Hancock and Samuel Adams in a tavern near Lexington, Colonel Lee and two other men from Marblehead retired for the night. Upon hearing that British soldiers were marching towards Lexington, the men quickly left the tavern and hid overnight in a nearby cornfield to avoid being discovered and arrested. The next day, the American Revolution began. Tragically for Colonel Lee, his night spent in the cornfield proved fatal. He caught a fever and died of pneumonia on 10 May 1775, never having returned to his home in Marblehead. Colonel Lee lived in this beautiful house for only seven years prior to his death. Very few family papers survive today. It is thought that Colonel Lee instructed his wife to burn any papers if he did not return from his trip to Lexington in 1775 so as not to have incriminating information about his arms smuggling fall into the wrong hands. Displayed at the top of the grand staircase are full-size portraits of Jeremiah and Martha Lee. These portraits – copies of the originals painted by John Singleton Copley, now part of the collection of the Wadsworth Atheneum in Hartford, Connecticut – offer a rare intimate look at the people who occupied this mansion. The family’s fortunes declined with the death of Colonel Lee and the ongoing war. Martha Lee remained in the mansion living in genteel poverty for several years. 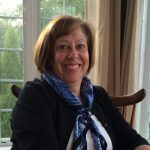 In 1789, Martha welcomed George Washington and the Marquis de Lafayette to the mansion. Beyond the compelling personal story of Jeremiah Lee, the architecture of the Lee mansion is well worth the visit. The six-foot wide staircase, the intricate woodwork, and the hand-painted wallpapers combine to immediately transport you into the life and times of a successful ship owner and his family. A docent-led tour of the mansion covers eighteen rooms over three floors. 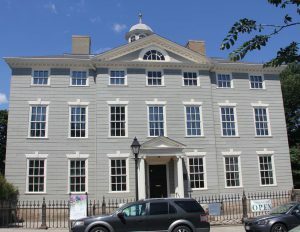 When the mansion was completed, it was the largest building in Marblehead and a wonderful example of English Georgian style architecture. The true treasure in this mansion is the original hand-painted wallpapers shipped from England. The wallpapers were painted to resemble elaborately framed pictures in 18 different scenes following measurements customized for the Lees. This wallpaper is believed to be the only set of its kind in the United States still in place in the house for which it was designed. The wallpapers have gone through several restoration efforts. The most extensive was undertaken from 1986 to 1990, and the results are extraordinary. The Marblehead Museum continues to monitor the condition of the wallpapers diligently so that they can be enjoyed for generations to come. In 1804, the mansion was purchased and operated as a bank for the next one hundred years. Very few changes were made to the building during those years. The bank failed in 1904, and the Marblehead Historical Society (now known as the Marblehead Museum) purchased the building in 1909. 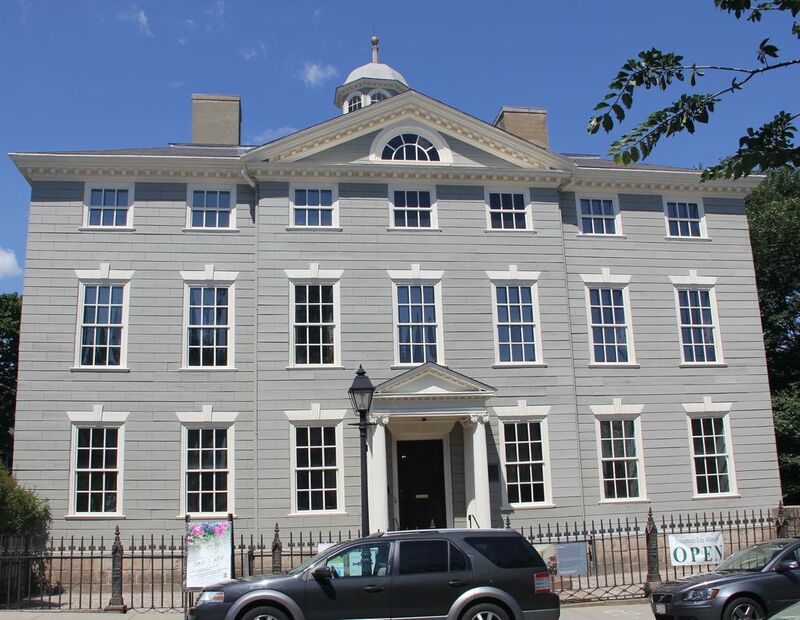 The Marblehead Museum has done a wonderful job restoring the Jeremiah Lee Mansion to its time of elegance and grandeur as the home of the Lee family. Every now and then, an extraordinary opportunity arises when an old house is renovated. In Savannah, the Major John Berrien house (ca. 1790) was a derelict for over a decade. It finally went into foreclosure, and my cousin bought it. Fortunately for us all, he is extremely knowledgeable and called in historic preservation experts to document the structure and components of the house. Over 40 layers of wallpaper have been found, and some of the designs have been reproduced and are commercially available. The exterior stucco cladding was stripped and revealed wonderful details in the original clapboards and decorative trim. The ballroom(!) on the top floor was found to have beautiful wainscoting. The restoration effort continues, and we wait for more discoveries! Wonderful that your cousin appreciates the historical significance of the house and is willing to do the hard work of restoration. I was in Marblehead in 2015 and saw this home from the outside. Not knowing its history, I did not take a tour. One day i’d like to. Thanks for this post.